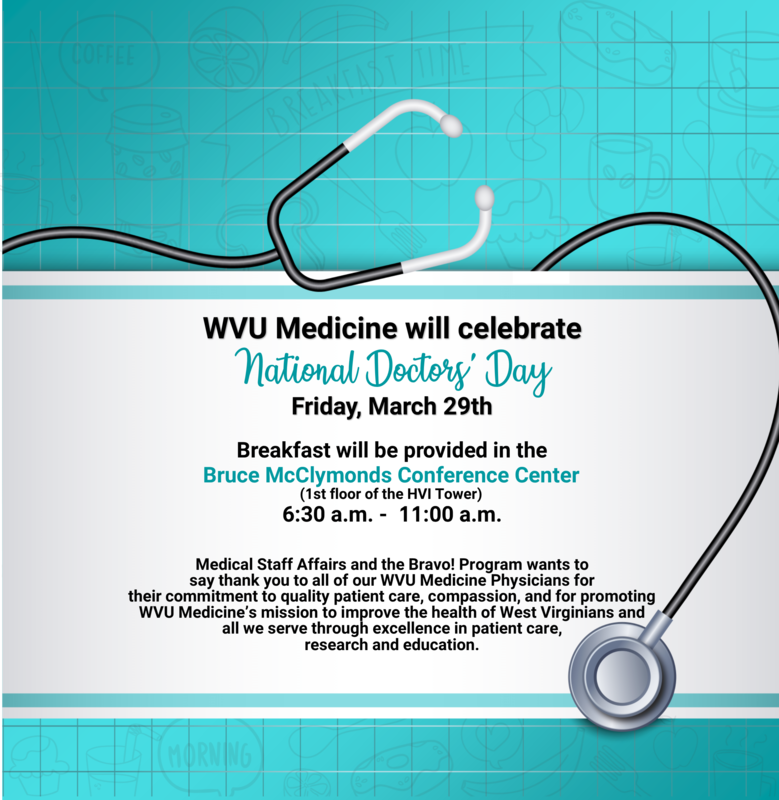 WVU Medicine will celebrate National Doctors' Day on Friday, March 29, with a light breakfast in the Bruce McClymonds Conference Center at J.W. Ruby Memorial Hospital from 6:30 -11 a.m. Doctors’ day gifts will be delivered to off-campus locations. Medical Staff Affairs and the Bravo! Program wants to say thank you to our WVU Medicine doctors for their commitment to quality patient care, compassion, and for promoting WVU Medicine’s mission to improve the health of West Virginians and all we serve through excellence in patient care, research and education.